Lenza Law Firm, PLLC is a company dedicated solely to the practice of Estate and Legacy Planning , Elder Law, Medicaid Planning and Estate Litigation. Our office is centrally located to all Staten Island residents at 1110 South Avenue, Staten Island, New York 10314 in Suite 54. Firm principal Matthew Lenza, Esq. 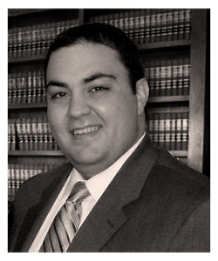 has been providing legal services to the residents of Staten Island for over 12 years. As a small firm, Lenza Law, PLLC. is a “boutique” law firm whose focus is our clients. Our mission is to provide the highest quality service in a fair, reasonable and efficient manner. We work toward our mission by placing our client’s interests first and working with them to craft the best solution to their specific needs. Each case is as unique as the individuals and entities that we serve. This approach has allowed us to build long lasting relationships, which is overarching focus of our practice. We take our ethical responsibility to our clients very seriously. All of our staff attends mandatory ethics seminars periodically and continually remain up to to date on new developments in attorney and law office staff responsibility. We believe that our success as a firm is directly tied in to our responsive, compassionate and efficient manner of conducting business. You will also not find a more technologically advanced law office in Staten Island. We have access to the most up to date legal databases and resources and take time EVERY DAY to monitor the law for any changes that may affect prior, current or future clients. Before retaining our firm, it is important to us that you feel totally comfortable with our practice and the way that we do business. We provide FREE consultations on all Estate Planning, Elder Law, Medicaid Planning and Legacy Planning matters so that you can meet with an attorney and get some insight into your key concerns. We are well known in the legal community for our kind, non-judgmental and professional demeanor.